For all their faults, the revival of American Idol and the enduring popularity of karaoke reveal an unspeakable truth about music: Everyone loves a good cover song. 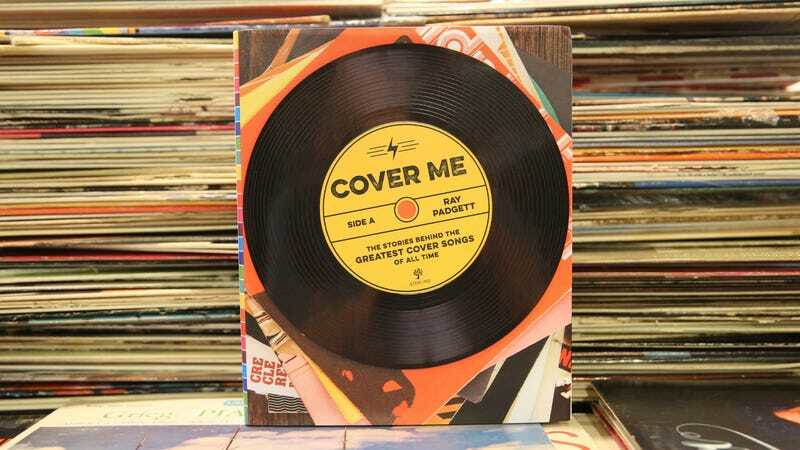 This ability to outshine and “cover up” an original piece of music is a possible origin of the term cover, according to music writer Ray Padgett, author of Cover Me: The Stories Behind The Greatest Cover Songs Of All Time. 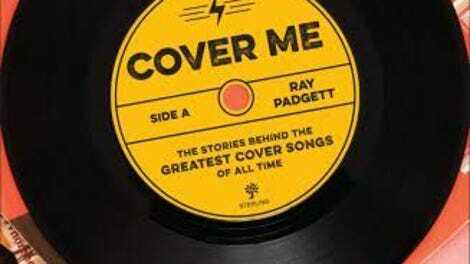 Padgett has run the Cover Me blog since 2007, and as an authority of this genre of music, he realizes the impossibility of discussing every significant cover, so he limits his book to a detailed history and analysis of 19 seminal songs. Included are close looks into how Aretha Franklin transformed the minor Otis Redding hit “Respect,” about a frustrating relationship, into the civil rights-era anthem culminating with onstage recognition from Martin Luther King shortly before his assassination. Similarly, he tells how Jimi Hendrix cut through Bob Dylan’s cryptic “All Along The Watch Tower” to find the beating heart of a Vietnam War ballad. The history of cover songs is sadly also a history of racism. Anyone who’s ever seen a be-collared Pat Boone ululate a sanitized version of “Tutti Frutti” knows instinctively there’s whitewashing at play. Padgett details how no fewer than half a dozen white musicians produced renditions of Big Mama Thornton’s “Hound Dog” before it came to the attention of a 20-year-old Elvis Presley, who now, arguably, possesses cultural ownership of the track thanks to his infamous TV appearances punctuated by his throbbing pelvis. As tastes increasingly focused on the persona and ability of individual musicians, a premium was placed on songwriting talent. Covers came to be seen as crutches for artists with nothing interesting to say or little artistry. Big surprise then that many performers have avoided playing up the fact that some of their biggest tunes were lifted from other acts: Joan Jett’s “I Love Rock ’N’ Roll,” Cyndi Lauper’s “Girls Just Wanna Have Fun,” and Led Zeppelin’s “Dazed And Confused” all being notable examples. Lately though, modern musicians have embraced covers as a way of presenting the fan behind the brand. Covers are a way to express authentic selves, revealing the blend of creative influences that shaped their own craft, perhaps spurred on by iconic forerunners such as Fugees’ “Killing Me Softly” and Johnny Cash’s raw take on Nine Inch Nails’ “Hurt.” While Miley Cyrus’ live, stripped-down country take on Outkast’s “Hey Ya!” speaks volumes about her internal blend of Nashville roots, Disney hitmaker pedigree, and contemporary R&B sensibilities, it also retains the baggage of the whitewashing era of cover music. Taking the idea to its logical conclusion, we see artists embracing entire album’s worth of covers, such as Lady Gaga’s partnership with Tony Bennett on their 2014 album of Great American Songbook standards, or Billie Joe Armstrong and Norah Jones’ collaboration on Everly Brothers tracks. Padgett covers a lot of ground in just 19 songs, but no doubt omits at least a dozen landmark covers, even those entirely within the realm of mainstream rock and pop, which is another of the book’s limitations (there are several well-known covers in jazz, for instance). But overall, his research adds fresh context and intriguing background to many of these songs, even to those possessing well-tread origin stories, and his astute ruminations on evolving cultural perceptions of the cover’s place in the music canon is persuasive enough to move purists to softer and less reflexive cringes at such songs before hitting shuffle. Purchasing Cover Me via Amazon helps support The A.V. Club.